New York, NY: Grand Central, 2007. first edition/first printing. Brodart protected. Collectible copy. . First Edition. Hard Cover. Fine/Fine. I Am America (And So Can You!) is a 2007 satirical bestseller book by American comedian Stephen Colbert and the writers of The Colbert Report. It was released on October 9, 2007, with the audiobook edition released several days earlier. 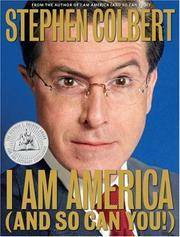 The book is loosely structured around the fictional life story of Stephen Colbert as he appears on The Colbert Report. 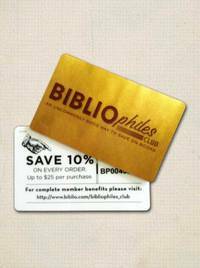 "I bought this book on Biblio.com but they never sent it to me. I probably would have given it a great review but who knows? Has anyone ever used this site more than once? Not me....ever again." More books like this are on sale from Catch and Release Books at 15% off!